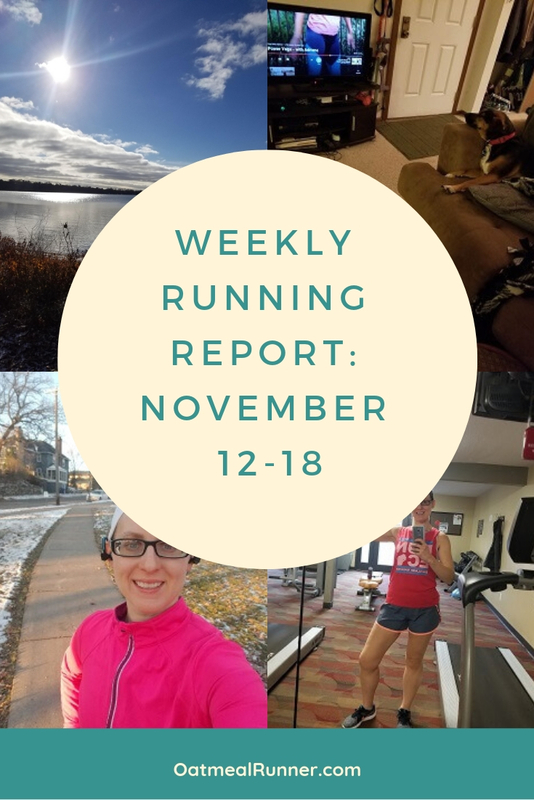 Well, for many of us, it’s starting to be the time where we turn to the treadmill to get in some of our miles because it’s getting cold, icy or just too dark. Hopefully, you are still able to get in most of your mileage outside but for those times when you have to turn to the treadmill, here are three workout ideas to help that time go a little faster! Before you jump on the treadmill, make sure you still get your dynamic warm up to get your body ready! Changing up the incline is another great way to make the time go by faster! For this workout, I go by time rather than distance to know when to change the incline. This workout should take you about 45 minutes. Don’t be afraid to drop your speed a little when the incline increases, try to keep your effort at a similar level rather than your speed. If you like listening to music on your treadmill runs, this workout for you. Fartlek is just speed play, changing up your speed at irregular intervals. I haven’t done a fartlek workout off the treadmill but it’s a great way to get in treadmill miles. You can choose when you pick up the pace for 30 seconds. Some great, easy to remember point sare everytime a song hits the chorus or even just with each song change, depending on how often you want to mix up your speed. 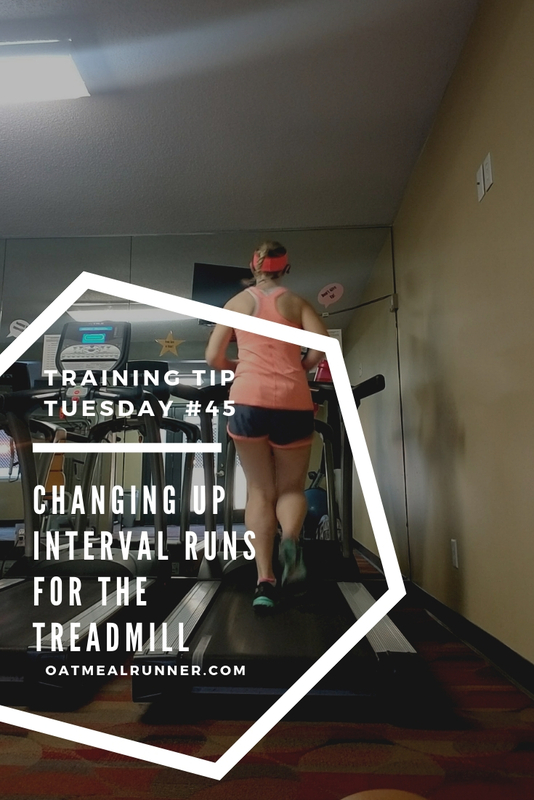 And if you need more treadmill tips, check out my post on tips for surving a long run on the treadmill, tips for preparing for a treadmill run and tips for beating boredome on the treadmill. It’s come to that time in the year where I need to think carefully about where I’m running, outside or on the treadmill. And, for my interval runs at least, I’m taking those to the treadmill for a while. The biggest factor in this is that sunset is about 4:47 p.m. and it’s going to be too dark to be safe running at 5K pace during the winter. We’ve only had a couple of really cold days and a little bit of snow, but there’s scattered patches of ice along the paths. It’s just not worth it risking stepping wrong at 5K pace since I have easy access to treadmills both at the apartment gym and LA Fitness. But I will be switching up my 5K pace intervals for running on the treadmill. Instead of doing 400m (~¼ mile) repeats I’ll be bumping it up to 800m (~ ½ mile) repeats. This will make transitions a lot smoother since it takes treadmills more time to switch between speeds and I won’t have to be messing around with the treadmill as much. I’ll also be setting the treadmill on a 2.0% incline since I won’t the resistance of the wind or natural incline (although there’s maybe 42 feet of elevation gain on the route I take by the apartment and 11 feet on the Reindeer Run 10K course). I’m hoping making this switch will prevent injuries caused by slipping on the ice while still allowing me to keep up with my speedwork as it gets colder, darker and icy outside. Are you starting to look at moving some of your runs to a treadmill? Let me know how you are modifying your runs when you switch to more treadmill running in the comments!